After a quiet opening 45, Craig Mahon and George Waring struck within a seven minute spell to secure the points. Bern and Jonno opted for an unchanged team from the defeat from Bradford Park Avenue – and they were vastly improved from Saturday. Dan Mooney had the first real opportunity inside the opening ten, latching on to a Matty Waters cutback but his right-footed effort was comfortably stopped by Peter Jameson. It was a half that offered little in terms of openings, but both sides went very close in the six yard box after the half hour mark. Jamie Holmes’ cutback was first fro Blyth Spartans, which Shenton and Waters were excellent in guarding the net. Then at the other end, Brad Jackson’s brilliant deilvery was sliced inches wide of his own post by Louis Laing. In the second half, the game again struggled to get going. Anthony Dudley had a big chance just before the hour mark, denied one-one-one by Jameson from Mooney’s through ball. Nevertheless, the breakthrough came on 67 minutes courtesy of another pass in behind the defence. The outstanding Brad Jackson slipped it through for Mahon – and the Irishman composed himself and then slotted home. One became two seven minutes later. A spot of quick thinking from Gary Roberts to clip the ball into the box found Waring – and the tall striker kept his cool to find the back of the net. Blyth rarely threatened in what Blues Joint Boss Anthony Johnson called a ‘complete performance’ this evening. The closest they really came was on 78 minutes when Dan Maguire cut inside and whipped a shot just over the crossbar. 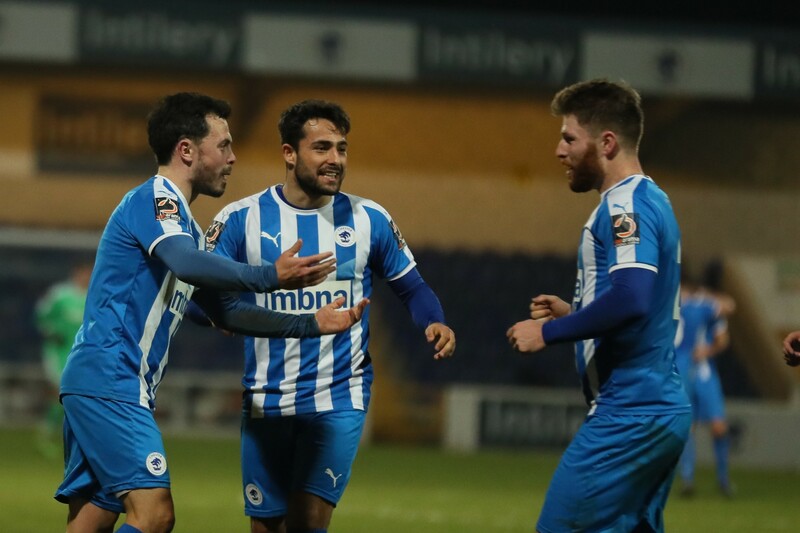 Chester saw out a clean sheet on an excellent evening at the Swansway Chester Stadium. CHESTER FC: Shenton, Jackson, Howson, Livesey, Waters, Mahon (Murray 86), Burton, Roberts, Mooney (McAllister 78), Dudley, Waring (Marsh-Hughes 78). SUBS NOT USED: King, Thomson. SCORERS: Mahon 67, Waring 74.